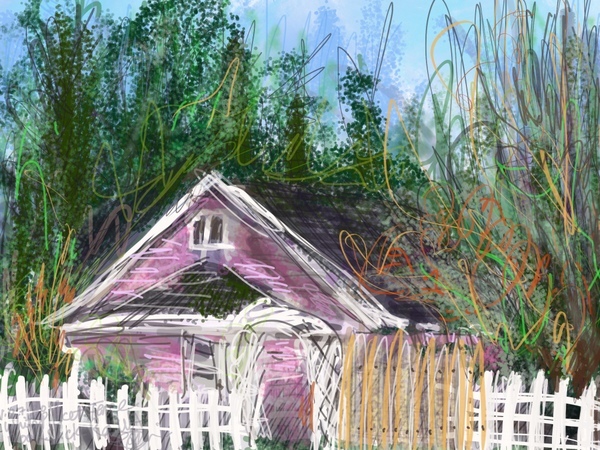 Digital painting of rustic pink cottage in rural Washington State near Lynden, drawing from life. Procreate App on iPad with apple pencil. Lots of layers with watercolor and stipple effects.